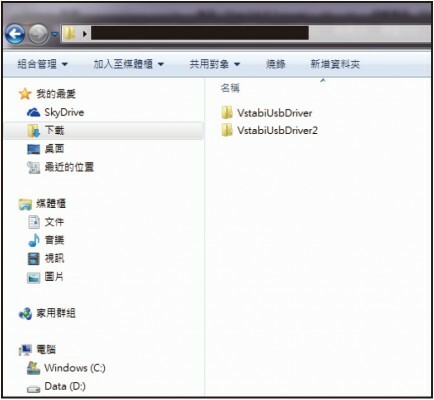 不適用其他更高規格瓦數之馬達，若您需更換其他更高規格馬達,請一併更換強化型單向組,編號:217170 X7 單向主齒盤組 (強化) 確保您飛行的安全. 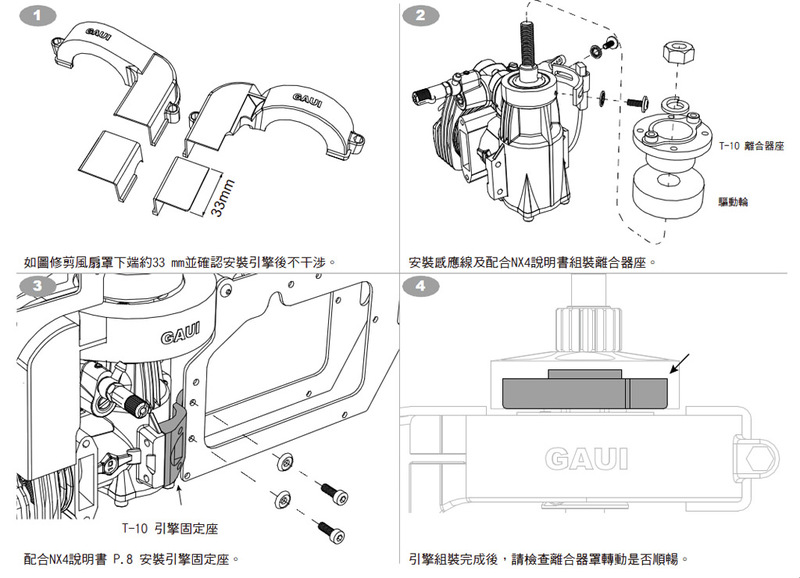 Please note TSH GAUI is the Original Equipment Manufacturer. Your selling dealer should be your first point of contact for any troubles you may be having with your product. Our dealers appreciate your business and welcome the opportunity to provide you with superior customer service. Many issues can be resolved thru technical support emails. We will also be adding FAQ section in our official website to provide answers on frequently encountered issues. Customer must first obtain a Returned Merchandise Authorization Number (RMA#) issues by TSH GAUI and Write this RMA# clearly on the return package with your exchange/return or we will not accept or process your return. You must include a detailed explanation on the TSH GAUI RMA FORM which you can download here. All TSH GAUI products sold are warranted for 30 days to be free from manufacturer defect. Dated proof of purchase must be presented or item will be considered out of warranty. Your selling dealer is your first point of contact for warranty issues. Please contact your dealer for advice BEFORE returning any item. In many cases your dealer can help you solve a problem without return. Return postage is the responsibility of the user in all cases. You MUST Submit a copy of original, dated receipt, and explanation of the problem with the return. Returned units should be examined by our tech department within 10 days of arrival, and contact made with the dealer to explain the findings. Limits of Responsibility: We accept no responsibility for crash damage. It is impossible to determine for certain whether crash damage was the result of a radio system failure or pilot error. We accept no responsibility for crash damage occurring during the use of a radio controlled model. We accept no responsibility for improper installation of our products. Electrical polarity MUST be properly observed in hooking up electrical components. Fuses must be used with all electrical components where indicated (example: speed controllers). All TSH GAUI products are guaranteed against defects for the period of 30 days. EXCEPT AS EXPRESSLY STATED HEREIN, TSH GAUI makes no representations or warranties, either express or implied, of any kind with respect to products sold. EXCEPT AS EXPRESSLY STATED HEREIN, TSH GAUI expressly disclaims all warranties, express or implied, of any kind with respect to products sold on this site, including but not limited to, merchantability and fitness for a particular purpose. By placing an order, you agree that the sole and exclusive maximum liability to TSH GAUI arising from any product sold on the TSH GAUI sites shall be the price of the product ordered. In no event shall TSH GAUI, its directors, officers, employees and representatives be liable for special, indirect, consequential, or punitive damages related to product sold. Except in respect of death or personal injury caused by TSH GAUI’s negligence, under no circumstances whatsoever shall TSH GAUI be liable to the buyer for any loss or damage whatsoever (including but not limited to loss of profit or the loss of any other form of financial or non-financial benefit; loss of use of or damage to any property; work stoppage; any special, indirect, incidental or consequential loss or damage; costs; expenses; and other claims for compensation), arising out of or in connection with the sale of any TSH GAUI product (including any misrepresentation (unless fraudulent); any breach of an implied or express warranty, condition or other term; or any breach of a common law duty), in an amount exceeding the price of the TSH GAUI product giving rise to the claim, except as expressly agreed in writing by TSH GAUI.